Being a pundit is never having to say you’re sorry. So buckle up, readers, as we take another ride on the ferris wheel of iPhone production cut rumors that has again broken from its frame and is rolling toward the sea! Writing for the Forbes contributor network and home of the creamed corn party cannon, Ewan Spence wants to believe. Gather ‘round the vital festive sales period tree, children, and spin the four-sided vital festive sales period wooden top. …are consumers falling out of love with expensive iPhones? Has the growth in iPhone sales finally forced Apple into a new course of action? And can Tim Cook’s Apple change the story around its business from a story of popular hardware to one of software and services? Will Chet finally tell Margaret about his affair with Lorraine?! Let’s take a moment to recap what happened over the last year in terms of reports on iPhone production cuts. For those suffering from anterograde amnesia, reports of cuts to the iPhone X line started in December of 2017 and ran all the way through the second quarter of 2018. Basically, the crappiest mid-season show introduction ever. You might say, oh, yeah, what about Selfie. Well, yes, Selfie was terrible, but it starred Karen Gillan and John Cho who are both delightful so it’s still better. Apple went on to report two quarters of increased iPhone sales, repeatedly stating that the iPhone X was its best-selling iPhone. So, in short, the reports of production cuts which surely meant iPhone X sales were flagging were malarkey. Balderdash. Codswallop. 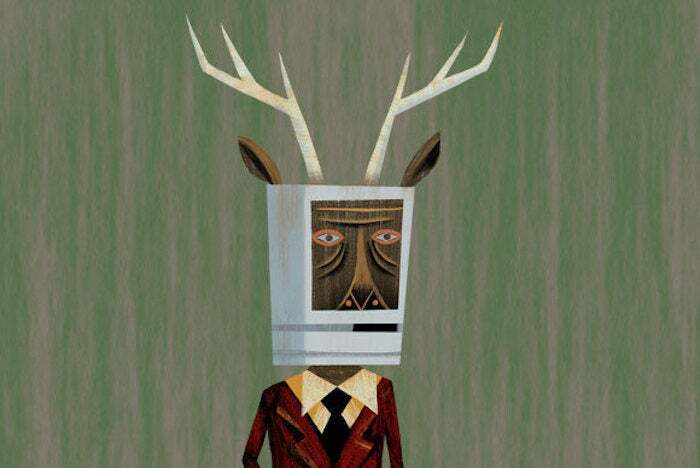 Well, at least we alllll learned something from that so The Macalope will just lean back and take a big sip from his coffee and read the latest analysis on Apple because what could go wrong? …this week reports of reduced iPhone XR production line confirms the softening demand for the ‘affordable’ $750 smartphone. Sigh. Well, the heart wants what it wants. And Spence’s heart wants a grossly underperforming iPhone line. For some reason. Part of the problem is that Spence hasn’t even absorbed the news about the iPhone X. Weaker than projected by who, whom or what? Not this furry observer. If pundits can’t be relied upon to remember what happened earlier this year, it’s probably too much to expect them to remember what happened in the summer of 2017. But the caterwauling back then was about the iPhone X’s price tag which was rumored to be around $1,000. “There’s no way Apple can push units at a price so high!” Then after it was released, analysts seemed to forget about the price and set expectations that the iPhone X would spark a super-cycle of iPhone sales. But Apple’s strategy was smarter than all that. The company recognized that the days of double-digit unit growth were gone because the smartphone market was largely saturated. Instead it set its eyes on selling to those customers who would pay a premium for a premium phone. …Apple has reportedly cut the production line of iPhone XR’s from 60 lines to 45. Even allowing for a rush to accommodate the initial demand, the reconfiguration of capacity is a noticeable cut. It is sadly unsurprising that Spence credulously links to a report from Nikkei, the very same outfit that ran the iPhone X production cuts rumor. As others have pointed out, it is possible that there is something to the rumor itself, that Apple is cutting orders from certain suppliers, but that doesn’t mean iPhone sales are down. The supply chain is slightly more complicated than that. Can Apple rely on revenue from services and software to replace the hardware margins? That could be a tough ask given that 59 percent of Apple’s revenue comes from the iPhone. Apple doesn’t have to increase iPhone unit sales to sell more software and services, unless everyone who owns an iPhone is already subscribed to Apple Music and maxed out on iCloud storage, which seems unlikely. Did Spence just not read that far?